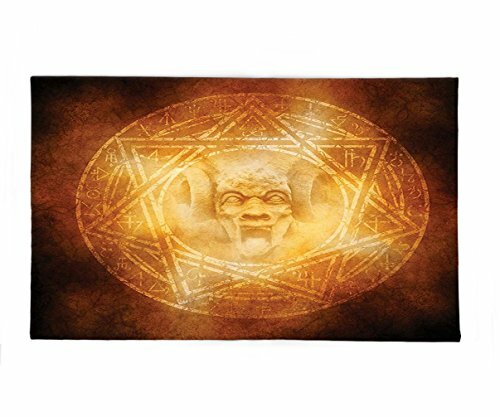 Interestlee Fleece Throw Blanket Horror House Decor Demon Trap Symbol Logo Ceremony Creepy Ritual Fantasy Paranormal Design Orange by Interestlee at UtopyaCon. MPN: BLWI171014A-49979-180x150. Hurry! Limited time offer. Offer valid only while supplies last. This super soft, breathable warm blanket comes with dual sided features with a mixture of truly elegant and soft fabrics. It can be machine washable.